If hotspot not working after Windows 10 Update and you get "We can't setup mobile hotspot" error while enabling it, here is how to fix. Windows 10 allows you to enable hotspot feature, so that you can share your machine’s network to other devices. To order to use hotspot, go to Settings app > Network & Internet > Mobile hotspot. Remember, hotspot can be enabled only if your machine hardware supports hosting network capability. However, in some cases, users may found that hotspot feature is broken after installing Windows 10 feature upgrade or security update. As the network hosting capability of the machine is compromised, when you try to enable hotspot, machine says We can’t setup mobile hotspot. If you’re currently experiencing the above mentioned case, you’ve already landed to correct place for the solution. Try out the suggestions mentioned below, see if they helps you. 1. First of all, go to Device Manager by running devmgmt.msc command and expand Network adapters. Uninstall all the virtual network adapters. Don’t worry, they would be automatically detected by the machine, in few moments. 4. Right click on the HostedNetworkSettings registry key and select Export. Save the registry key to some convenient location. Again do a right click on same registry key and select Delete option this time. 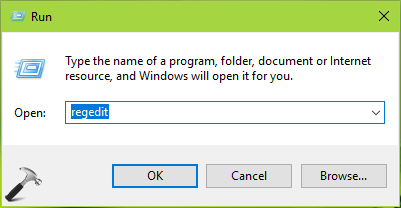 In the confirmation prompt, select Yes. Close the Registry Editor now. 5. Reboot the machine. Run the Network Adapter troubleshooter and see if any other networking issues are detected. Now try to enable hotspot and it should work fine now. Let us know via your comments, if you still have the issue! Related: The hosted network couldn’t be started in Windows 10. Still have the same problem… Any advice? Proposed solution did not work. It baffles me how Microsoft can get things so badly wrong. The old simple mechanism of XP worked fine and “Mobile Hotspot” or “Internet Connection Sharing” has got progressively more flakey every windows release. Even more incompetently, the so-called “trouble shooter” thinks everything is fine and the so called “feedback hub” thrashes the disk without offering me the chance to give feedback. ^^ Ian, have you performed repair upgrade?